DHW tank package with 11Z timer circulation (160l) - Celsius a takarékos energia - fűtés rendszerek akár 5 év garanciával. The kit allows to connect the recycling way of the hot domestic water to an instantaneous storage tank with coils in a very simple way. The pre-assembled kit, by means of a stainless steel flexible pipe, makes a counter-current circulation that warms the water along the recycling way. High performance adjustable thermostatic diverting valves. Its material is yellow brass. The pre-assembled kit, by means of a stainless steel flexible pipe, makes a counter-current circulation that warms the water along the recycling way. Lowara Ecocirc Pro 15-1/65 circulating pump. 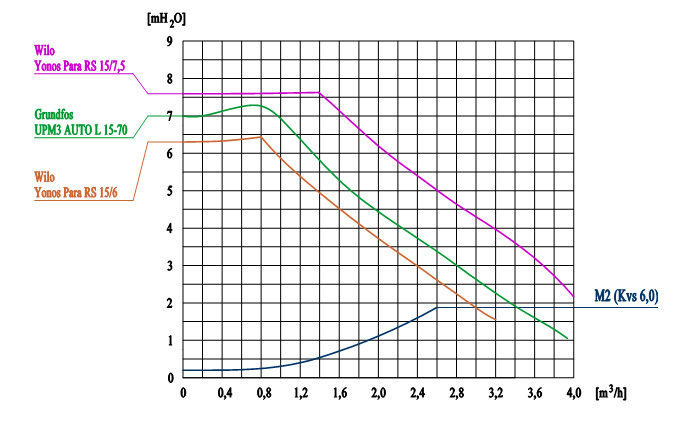 The headloss of the DomvS Circ 1 kit is measured between the points A and B of the hydraulic scheme. When the circulating pump starts, the cold water into the recycling loop, flowing through the flexible pipe, comes back warmed towards the gate H of the mixer; the gate C of the mixer is usually closed until when the temperature of the recycling loop is approaching to the one selected on the mixer (this condition rarely occurs). The recycling circulation into the recycling loop is working until the temperature is sufficient. A and B. Measuring points to determine the headloss. 2-way unmixed pump unit 3/4"
DN20 pump units can be connected to heating systems with powers up to 35kW, with very low energy consumption assured by high efficiency synchronous circulating pumps. The connections to the distribution headers are made in ¾” thread (male on the distributor side and female on the loop side). Compact and up-to-date, the new series offers functions similar to those of the bigger sizes DN25 and DN32. Especially suitable to manage medium-low powers in small rooms, thanks to its centre distance of only 90 mm. For power up to: 35kW (Δt 20K). Flanged ball valve with T-handle. High efficiency synchronous pre-wired circulating pump (for the models that include it). Flanged ball valve with non return valve 20 mbar (which can be excluded by rotating thehandle by 45°) supplied with in-handle thermometer (coded blue; 0°C-120°C). Electronic, programmable thermostat designed for control of both: CH and DHW pumps independently. 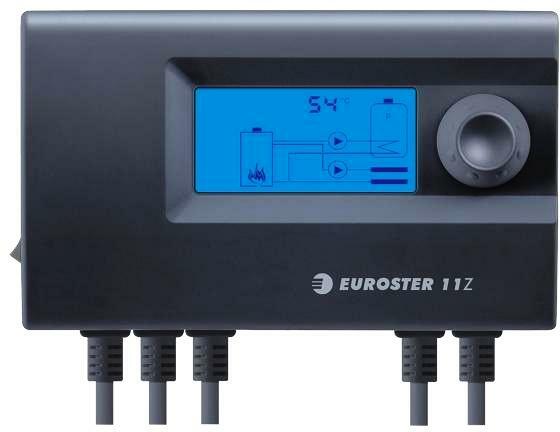 E11Z controller is equipped with two temperature sensors and AntiStop function with a possibility to turn a DHW priority on. The controller prevents boiler condensation, maintains a constant temperature of water in the tank. central heating circulating pump and hot water tank loading pump with the possibility of prioritizing hot water pump. a predefined value. If tank temperature falls down, tank loading pump will be switched off. Moreover, the controller protects the tank against cooling down in case of low temperature or fire extinction. 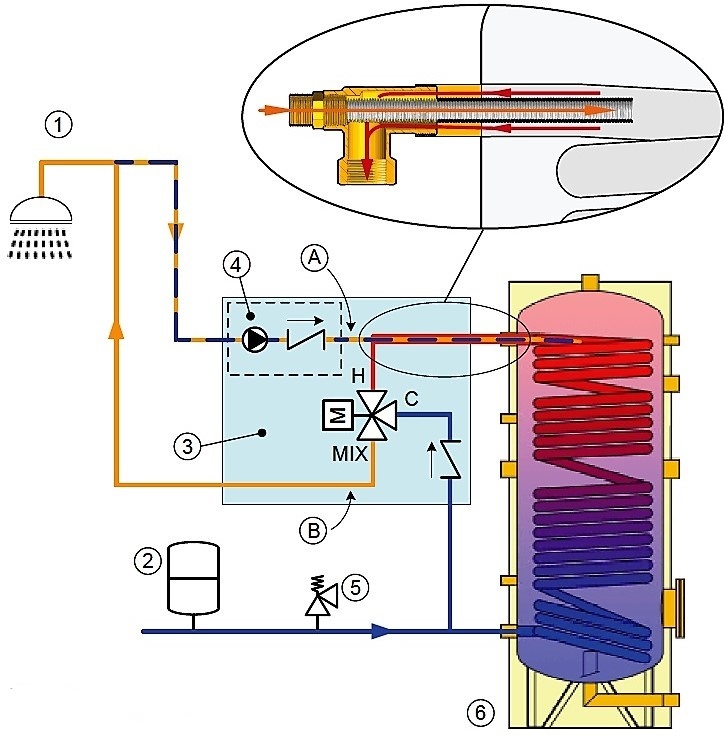 Hot water priority function allows for the fastest possible way of heating the tank. Attach the cables lead out of the controller to the wall with the use of grips. Animated presentation of furnace condition only serves information purposes - it does not influence controller operation.